Charleston Community. New Homes for Sale. Move In Ready. 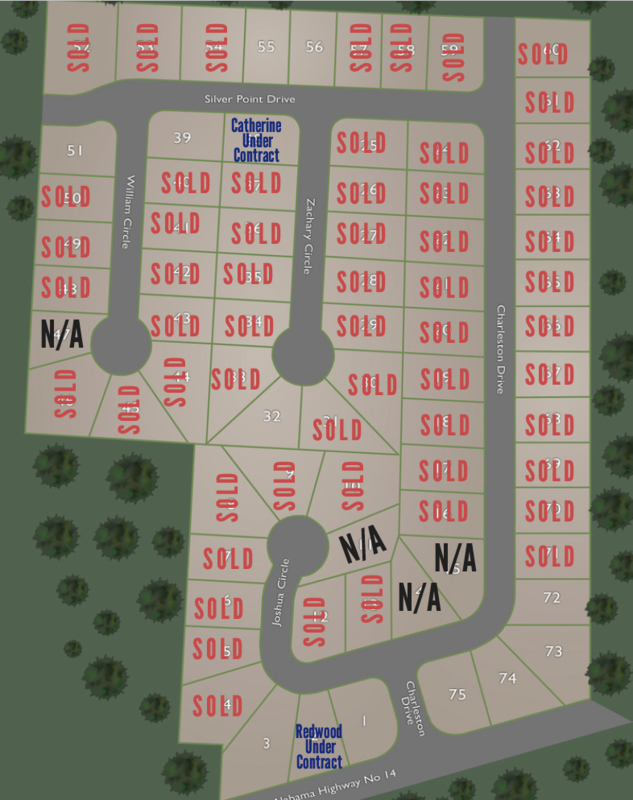 Charleston Place is an affordable community far from the city but close to all conveniences. This close-knit community offers beautiful affordable, energy efficient homes that is perfect for the young couple, the family, or the downsizer looking to live in Millbrook. Financing Information: $0 Down! Payments start at $1020! Builder pays $3000 toward closing costs! Directions from Montgomery or Prattville: From I-65, Take exit 181 (hwy 14) East toward Wetumpka for 3.8 miles or 1.1 miles after Main street intersection (Hardees). Turn into Charleston take a right and follow Charleston Road and follow the new home signs.